Today my daughter submitted her college admission acceptance form and I realized that any day now I’ll have two kids out of the house and in college. Two kids are still at home but I will be operating at a fifty percent occupancy rate. That number is not so great in the hotel business, but in the business of writing, I’ll take that number any day of the week. However, I’m still not convinced it will translate into a fifty percent workload reduction. Next year my third, my son, will also depart to begin his life as a college student and the nest will be emptier still. I’ll be honest–I’ve spent many hours, head in hands dreaming of the day when the kids are busily (and hopefully blissfully) pursuing their dreams outside of our home and I have a little room to breathe…I mean write. 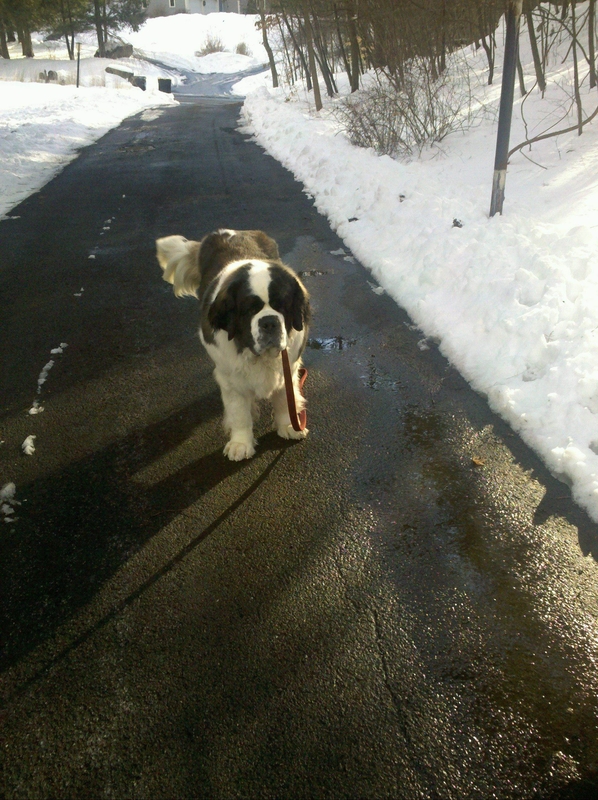 I could spend hours fantasizing about all the time I will have to write uninterrupted with only a gentle nudging reminder from our St. Bernard Nola when it is time for her afternoon walk. Then, of course, I’ll be ready for a break because I’ve had such a productive morning. After communing with nature on my leisurely walk with Nola I’ll eat a healthy, well prepared lunch. I’ll return to my desk till I stop again for a healthy well-prepared dinner. School committee meetings, swim meets, volleyball games, laundry, girl scouts, calls from the school nurse, laundry, daily school runs for forgotten notes and lunches and notebooks and art projects and gym clothes, checks for uniforms, checks for yearbooks, checks for club sports, checks for school spirit t shirts, checks for dances, checks for school fundraisers, checks for prom tickets, throw in another load of laundry….. all now a thing of the past. The kids complaints about my healthy dinners, a distant memory. I’ll speak to the kids of course, via phone or skype. They’ll fill me in on their challenging course loads, relationship news and ask for more checks. I’ll catch them up on local gossip, family news and how Nola grows mysteriously and increasingly cuter each day. Their voices fill me and smooth my rough edges. We will all soon be entering new phases of our lives. And I suppose not all of life’s journeys are smooth sailing. In preparation for this journey I try to encourage us all to get a little more of what we need by letting my birds spread their wings (i.e. do their own laundry) while I eke out just a few more precious minutes at my desk. On a good day, some decent writing has been done, a family dinner was enjoyed, laundry was folded and put away, homework was reviewed, laughs and stories were shared. But on a not so good day, I put my head in my hands and dream how it sure will be nice to write uninterrupted with only a gentle nudging reminder from our St. Bernard Nola when it is time for her afternoon walk.